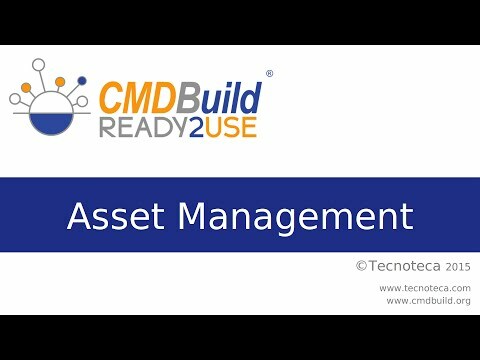 CMDBuild READY2USE is the perfect ready CMDB to manage all IT assets in your Organisation. To use CMDBuild READY2USE in a production environment, you should get the Subscription. This would allow you to use advanced features, benefit from guaranteed SLA assistance and have access to our support, training and start-up services. If you just want to test CMDBuild READY2USE functionalities (without advanced features) or make your own developments (without our support), you can download the test version from CMDBuild download page and enjoy it. CMDBuild READY2USE has already set up the required entities for the IT management within a medium-to-­large organization. Configuration Items are arranged in superclasses and subclasses, they include all necessary attributes and are linked through various relation typologies. The system allows you to edit the data cards for each element, link them, attach documents, start simple or complex searches, save them, consult the history, georeference them on 2D maps or on 3D models. CMDBuild READY2USE includes the Service Catalogue management where you can define the IT services made available to users, with request and support modalities, their availability, SLA and KPI, technical and business contacts. The dependences among services, and between services and configuration items, allow you to analyse the effects if any fault occurs. One or more kinds of request types are associated to each service. They are started from the self-service Portal and are then managed through the Request Fulfillment workflow. The Incident Management workflow manages the support request forwarded by users when IT services faults occur. Users send requests through the self-service portal. The helpdesk takes charge of such requests and if necessary can forward them to internal or external specialists (horizontal and vertical escalation). Among several available mechanisms we mention e-mail notifications, SLA control, Knowledge Base use, attachment upload, priority calculation, management of reply e-mails, start of secondary flows. The Request Fulfillment workflow manages the requests forwarded by those users who require standard services (from the Catalogue), non-standard services, information. The requests are sent by users through the self-service portal. The helpdesk takes charge of them and may require the approval by a supervisor. The standard services are then solved by one or more work orders, which can be configured and differentiated according to the kind of service. The requests for non-standard services cause Change Management processes. 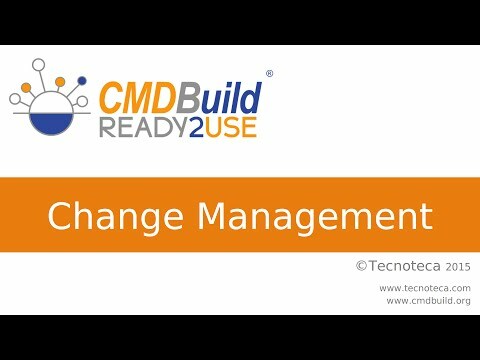 The Change Management workflow manages the requests for change of IT configuration which can't be solved through standard procedures. The workflow can be started by IT technicians or produced by Incident Management and Request Fulfillment processes. Each request is approved by the Change Manager and then solved by specialists with one or more analysis, implementation and test activities, carried out and described through work orders. The Asset Management workflow helps operators to manage the Configuration Items movements during their life cycle. It manages the requests for materials and order issues, the CI delivery and acceptance, the CI assignment and loan to users, the CI transfer among users or seats or warehouses, the CI disposal and scrapping. In CMDBuild READY2USE the main useful reports are already configured for the operative management of Configuration Items (inventory also at previous dates, Barcode labels, racks layout) and of the related processes (order and movement list, SLA control, service catalogue print). In CMDBuild READY2USE also dashboards are available for SLA analysis and for the analysis of asset composition, rotation and age. CMDBuild READY2USE includes two wizards for the management of network wirings and IP addresses. CMDBuild READY2USE provides a Self-Service Portal that allows non-technical users to interact with the IT Management System and technical staff, to report their needs and then stay updated on resolution activities. Each user accesses the Portal after local authentication or connected to the corporate Active Directory repository. CMDBuild READY2USE proposes by default the Self-Service Portal implemented in the open source portal Liferay. Using the CMDBuild GUI Framework environment, it is possible to activate the Self-Service Portal in portals based on different technologies, developing specific authentication plugins, without constraints at server-side. The information management done manually in a CMDB can cause delays or inaccuracies when updating data. In order to overcome this issue the best thing would be – if possible – to activate automatic connectors that contact external systems to sync, find any misalignments between the data sources, notify operators such situations and update the approved changes. CMDBuild READY2USE includes the following standard connectors: Active Directory, OCS Inventory, VMware VCenter, LLDP and Zabbix. Further custom connectors can be implemented accordingly to specific customer's and project's needs. 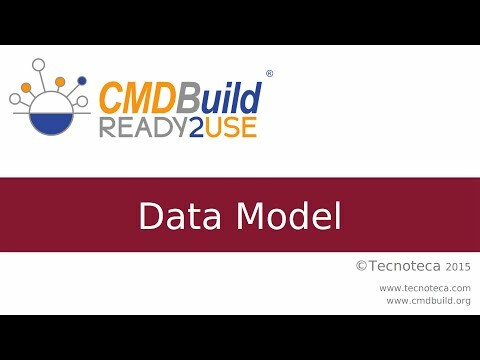 CMDBuild READY2USE mobile is an app for smartphones and tablets that implements the main functionalities of the desktop interface: navigation menu, management of data cards with relations and attachment, searches and filters, workflow management with the main widgets, report print. The app allows you to take pictures and store them into the CMDB as attachments, and to read a QR code and view the related data card. The maintenance service allows you to benefit from the open source software advantages, having available at the same time a professional assistance with granted SLA. The service includes the support when using the application, the notification and the remote installation of updates, the resolution of any bugs under warranty. The cost is determined according to the complexity of the instance and of the required SLA's. You can use the service in "cloud" mode. You have the possibility to ask for a certified appliance (OVF format), completely configured in Linux Ubuntu 64 bit environment. Several training courses are at your disposal, both related to the standard use of CMDBuild READY2USE related to the different ways to configure the system in advanced way (data model, report, dashboard, workflow, interoperability with other systems, GIS / BIM). Training courses can be supplied remotely or on-site on client premises. They can be held either in English or in Italian language.